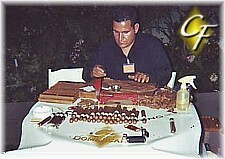 Cigar Rollers from CF Dominicana - Two hours of a cigar roller works best for special events with up to 400 guests. 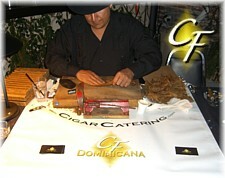 One of our event planners or "Cigar Caterers" will help you to integrate CF cigar rollers in the best way possible to contribute to the success of your special day. 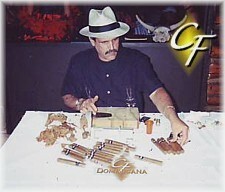 Also, because CF Dominicana is a premium cigar brand, you receive no inferior tobacco or hidden scrap tobacco leaves which is all too common - our tobacco is maintained at premium standards and CF Dominicana provides superior cigars. 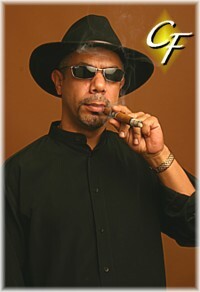 We also recommend sampling the cigars for yourself - we will event credit your sample 4-pack when you book your event. Enjoy.